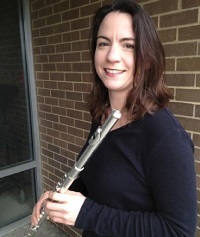 Dr. Linda Antas is a composer, computer music and audio specialist, flutist, and educator. Her compositions have been performed and broadcast around the world and are published on Media Café, TauKay, Centaur, and EMS labels. 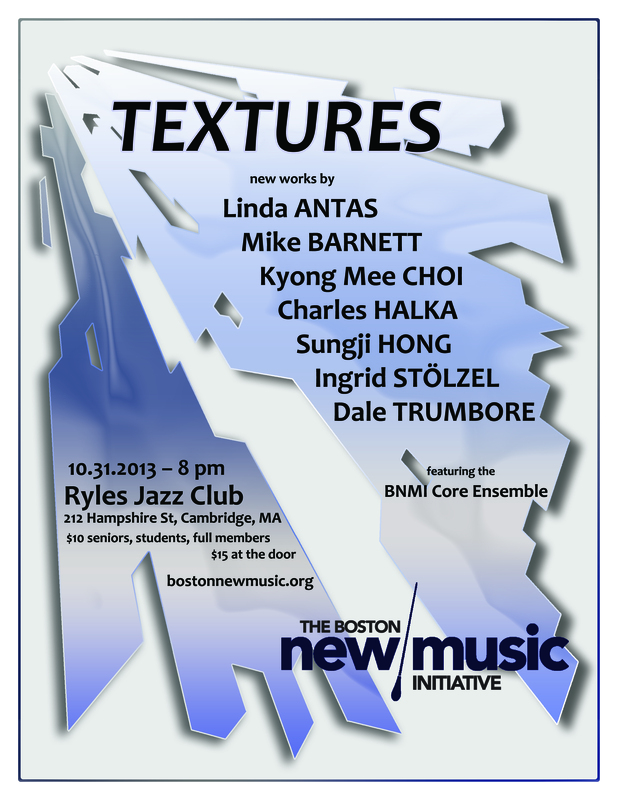 A Fulbright Fellowship recipient, Antas has also been recognized by the International Music Contest Citta' di Udine (TauKay Edizioni Musicali), and has received commissions from the International Computer Music Association, the Rind Fund, and internationally-renowned performers including Eric Mandat. She has performed as a flutist at the National Flute Association Convention, the Phonos Foundation's (Barcelona) "Instrumental-Electroacoustica VI Festival", the Seattle Chamber Players' "Icebreaker Festival", and performed Elliot Carter's Espirit Rude / Espirit Doux with clarinetist Eric Mandat in celebration of the composer's 100th birth year. She regularly collaborates with a variety of visual and sound artists and serves on the faculty of Montana State University. Iridescent (from Latin iris 'rainbow') Displaying a spectrum of luminous colors that shimmer and change due to interference and scattering as the observer's viewing angle changes. Pearls, beetles, butterflies, cuttlefish and other cephalopods, hummingbirds, bornite, bismuth, soap bubbles, opals, DVDs and oil on wet pavement all exhibit iridescence caused by redirected light. Coloration caused by micro- or nano-structures is referred to as "structural color" and is a common cause of iridescence in the natural world. I was fascinated by the diverse manifestations of iridescence in nature and by the physics of iridescence, which links color and structure. I was also struck by the poetry of it: it is only by looking at something from different angles that we fully appreciate its beauty and complexity. Iridescence contains textures that shimmer, or that were created with processes that parallel the diverse directions, angles, and fluctuations that produce iridescence. The eclectic career of Mike Barnett has transcended the boundaries of the traditional contemporary musician. In the 1970s and 80s, Art Rock ensembles such as Rush and Pink Floyd, and classically-influenced European Heavy Metal bands like Iron Maiden and King Diamond captivated Mike and led him to discover his penchant for the drum set. 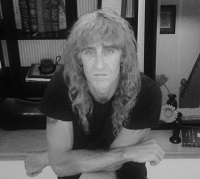 As a drummer and songwriter he has worked extensively with Heavy Metal bands that compose and record original music, appearing on many commercial recordings over the past 25 years. Mike earned the Bachelor of Arts degree in 1996 and Master of Arts degree in 1998, both in Music Composition, from the Indiana University of Pennsylvania. In 2004, he earned the Doctor of Musical Arts in Composition from the University of Colorado. Mike's compositions include several orchestral works, a piano concerto, a violin concerto, a work for wind ensemble, a chamber opera and dozens of chamber works, solo works and songs, many of which have been performed around the world by prominent musicians and major ensembles. Most recently, Mike composed, recorded and released a full-length CD of original instrumental Metal/Jazz/Classical fusion with Stanley Chepaitis on electric violins, Nathan Santos on bass and the composer himself on drums. The project was released under the band name Terminal Degree and is titled The Middle of Nowhen. This unique music is available online in either physical form or digital download. Mike currently lives in Boulder, Colorado where he maintains a multi-faceted career as a composer, performer, producer and educator. Ask The Wind was composed at a time of great upheaval in my life. With a career shift from teaching to performing, several cross-country moves and the life of a traveling musician, I was inspired by the sentiment of a wistful breeze and compelled to tell people: "Ask the wind if it knows where it's going, but don't ask me." Kyong Mee Choi, composer, organist, painter, and visual artist, received several prestigious awards and grants including John Simon Guggenheim Memorial Foundation Fellowship, Robert Helps Prize, Aaron Copland Award, Illinois Arts Council Fellowship, First prize of ASCAP/SEAMUS Award, Second prize at VI Concurso Internacional de Música Eletroacústica de São Paulo, Honorary Mentions from Musique et d’Art Sonore Electroacoustiques de Bourges, Musica Nova, Society of Electroacoustic Music of Czech Republic, Luigi Russolo International Competition, and Destellos Competition. She was a Finalist of the Contest for the International Contemporary Music Contest "Citta' di Udine and Concurso Internacional de Composicai eletroacoustica in Brazil among others. Her music was published at CIMESP (São Paulo, Brazil), SCI, EMS, ERM media, SEAMUS, and Détonants Voyages (Studio Forum, France). Ravello records published her multimedia opera, THE ETERNAL TAO, which was supported by the John Simon Guggenheim Memorial Foundation Fellowship and Roosevelt University. Aucourant Records published her CD, SORI, featuring her eight compositions for solo instrument and electronics. The project was supported by the IAS Artist Project Grant from the Illinois Arts Council. 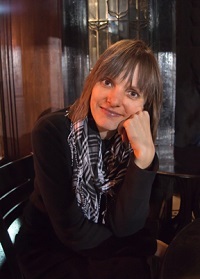 She is an Associate Professor of Music Composition at Roosevelt University in Chicago where she teaches composition and electro-acoustic music. Timothy Ernest Johnson is a multifaceted creative/performing artist with a lifelong commitment to cultivating deeply engaging, substantive and moving artistic expression. As a composer he is known for music that integrates disparate materials into a multiplicity of expressive dimensions, most recently in a series of works partially based on historical chess games. His large ensemble work Kasparov vs Deep Blue was a finalist in the Alea III competition and Morphy vs Brunswick and Isouard won the University of Illinois Symphony Orchestra prize. His co-commissioned electronic work Tensile Strength received a prize in the International Electroacoustic Music Competition “Musica Nova” in the Czech Republic, and has been featured on two recordings. Johnson has had numerous other works performed in his native Chicago and abroad, and remains active as a classical guitarist, with recent recitals in South Korea and Chicago. As a painter his most recent showing was a 2013 exhibit of 41 of his watercolors at the High Cross Art Studio in Urbana, IL in a joint show with Kyong Mee Choi. Tensile Strength explores the intersection of the harsh and the harmonious. The title refers to the amount of stress required to stretch a string to the point where it breaks. The piece is unique in that it is the result of a collaboration of two composers, each handling different aspects of the process. The primary sound material consists of violin samples processed in Bill Schottstaedt’s CLM synthesis language, in conjunction with Heinrich Taube’s Common Music composition environment. Tensile Strength was commissioned by Scott Wyatt in commemoration of the 50th anniversary of the Experimental Music Studios at the University of Illinois at Urbana-Champaign. Charles Halka's music has been performed in North America, Europe, and Hong Kong by groups such as counter)induction (New York), Volti (San Francisco), ONIX Ensamble (Mexico), PRO ARTE eNsemble (Russia), Aquarius (Belgium), Duplum Dúo (Mexico), Jauna Muzika (Lithuania), and Pictures on Silence (Baltimore). As a 2008-09 Fulbright grantee, he spent a year in Vilnius, Lithuania researching Lithuanian music and writing an opera. The opera, Julius, received its premiere in 2010, and a choral excerpt from the opera, Dipukų­ Rauda, was performed at the ISCM World Music Days 2012 in Belgium. In 2011, Round and Round was premiered at the Coolidge Auditorium of the Library of Congress, and in 2013 a revised version was premiered in Hong Kong at the Intimacy of Creativity partnership led by Bright Sheng. Charles' orchestra work, Scherzo, was awarded Special Distinction in this year's ASCAP Foundation Rudolf Nissim Prize, and he recently completed a month-long residency at the M.K. Sarbievijaus Cultural Center in Kražiai, Lithuania, where he wrote a chamber opera (with a libretto by John Grimmett) for the Baltic Chamber Opera Theater. He is Artist-in-Residence at the Foundation for Modern Music (Houston). 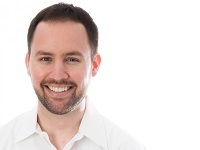 Charles studied music in the United States, Russia, and Lithuania, and holds degrees in piano and composition from the Peabody Conservatory, where he studied piano with Brian Ganz and composition with Michael Hersch and Judah Adashi. He recently earned his DMA from Rice University's Shepherd School of Music, where he studied composition with Richard Lavenda, Kurt Stallman, Pierre Jalbert, and Arthur Gottschalk, and piano with Brian Connelly. Additionally, he studied privately with Samuel Adler through the FUBiS program in Berlin and participated in master classes with Bright Sheng, Christopher Thefanidis, and Kaija Saariaho. Previous teachers also include Osvaldas Balakauskas for composition and Stephen Drury, Nina Seryogina, and Roger Price for piano. Program Note: Por la Fuerza las Tierras, which translates to "[take] the lands by force," was commissioned in 2010 by flautist Alejandro Escuer and the Mexican ensemble ONIX Ensamble for its Viva Zapata! concert celebrating the centennial of the Mexican Revolution. As its title suggests, the work exhibits aggressive and relentless energy in passages of both struggle and celebration. After an extended moment of respite in the middle of the work, the music gradually gains momentum again and pushes energetically forward to the end. Given the occasion for which the work was written, both the rhythmic and melodic material are greatly indebted to various Mexican musical styles. Sungji Hong's music has been described as "a work of iridescent freshness" (BBC Music Magazine), "the sound is utterly luminous" (Fanfare Magazine), "it had fantasy, colour and drive" (Nottingham Evening Post), "outbursts of rhythmic energy" (The Irish Times), and "a virtuoso exploration of the technical and sonorous possibilities" (Daily Telegraph). Her music has been performed in over 41 countries and 147 cities throughout Europe, the United States, and Asia. Her music has been widely broadcast in more than 17 countries (37 channels) and has been recorded and released on the Soundbrush, Elektramusic, Atoll, Dutton labels and by ECM Records. Her creative output ranges from works for solo instruments to full orchestra, as well as choral, ballet, and electroacoustic music. 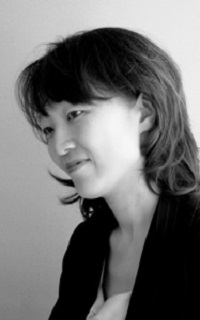 Her works have been commissioned by the Fromm Music Foundation (Harvard University), the Tongyoung International Music Festival (Korea), the Seoul Philharmonic Orchestra (Korea), the Keumho Asiana Cultural Foundation (Korea), the Foundation for University Sacred Music (USA), the International Isang Yun Music Society (Germany) and the MATA Festival (USA). She has won the Franz Josef Reinl-Stifung (1st Prize), the Magistralia (1st Prize), the Seoul Spring Festival Composition Competition (1st Prize), the Jesus Villa-Rojo (1st Prize), the European Competition of the State Conservatory of Thessaloniki (1st Prize), the Temple Music Composition Prize (1st Prize), the Crwth Competition (1st Prize), the international competition for original ballet music at the ISCM World Music Days - Slovenia (1st Prize), the Montserrat International Camera Music Composition Competition (1st Prize), the Theodore Front Prize (IAWM), and the Yoshiro Irino Memorial Prize (ACL). Sungji Hong studied composition in Seoul before moving to England, where she completed her Master in Music at the Royal Academy of Music in London and a Ph.D. in composition with Nicola LeFanu at the University of York in the UK. Program Note: The title Bisbiglio (whispering) reflects the behaviour of the music in the work. In Bisbiglio, emphasis was given to structural development and morphological coherence throughout the work. The piece is characterized by recurring elements that function as structural material for the development of the work. Bisbiglio was completed in July 2011 in Thessaloniki, Greece. It lasts about five minutes and is scored for flute, Bb clarinet, and piano. The work was written for the International Contemporary Music Festival in Cyprus to be performed by Moscow Contemporary Music Ensemble. Described as "a composer of considerable gifts" and "musically confident and bold" by NPR's classical music critic Tom Manoff, Ingrid Stölzel enjoys performances of her music around the world. She has received commissions from diverse ensembles such as newEar contemporary chamber ensemble, California E.A.R. Unit, San Diego New Music, Adaskin String Trio, Erato Chamber Orchestra, Greenbrook Ensemble, Octarium and Allegrésse, among others. She is the winner of the 2013 Cayuga Chamber Orchestra Composers Showcase Competition, 2013 Ortus International New Music Competition, 2012 Arizona Pro Arte Competition, 2010 NewMusic@ECU Festival Orchestra Composition Competition, the 2009 Cheryl A. Spector Composition Prize, the 2006 PatsyLu Composition Prize, and a finalist of the International Music Prize for Excellence in Composition 2011. Stölzel is a frequent guest composer and her music has been heard at numerous music festivals and conferences including the Beijing Modern Music Festival, 16th Biennial Festival of New Music at Florida State, Festival of New American Music, Aries Composers Festival, International Alliance of Women in Music Congress, IC[CM] International Conference on Contemporary Music, SoundOn Festival of Modern Music, Oregon Bach Festivals, Ernest Bloch Festivals, Chamber Music Conference of the East, Otterbein Contemporary Music Festival, and NACUSA National Conference, among others. In 2011, her piano trio The Road is All was commercially released by Navona Records on the CD Claviatures and as a digital release on Fine Music Vol. 2. Stölzel earned her doctorate degree in composition from the University of Missouri, Conservatory of Music and Dance in Kansas City, where she studied with James Mobberley, Chen Yi and Zhou Long. She holds a Master of Music in Composition from the Hartt School of Music in Hartford, Connecticut. She is the Director of the International Center for Music at Park University. Stölzel is a native of Germany and has resided in the United States since 1991. Hailed by The New York Times for her "soaring melodies and beguiling harmonies," composer Dale Trumbore's compositions have been performed widely in the United States and internationally by ensembles including the Kronos Quartet, ACME, and the USC Thornton Symphony. Trumbore has received awards for her compositions from Chanticleer, Center City Opera Theater, the Harmonium Choral Society, Lyrica Chamber Music, the Society for Universal Sacred Music, and VocalEssence. She has received commissions from organizations including the American Choral Directors Association (ACDA), the Esoterics, the Millburn High School Symphony Orchestra & Miller Chorus, Six Degree Singers, and WomenSing. Trumbore has also been awarded a Copland House Residency Award, the Artist in Residence Grant at the Helen Wurlitzer Foundation of New Mexico, and the American Composers Forum Subito grant. Trumbore's dual interest in language and music leads her to collaborate frequently with contemporary poets, and Trubmore's works for voice have been recorded by the New York Virtuoso Singers (Toward Lasting Peace), Six Degree Singers (Six Degrees of Composers), and soprano Gillian Hollis (Snow White Turns Sixty). Trumbore's choral work The Whole Sea In Motion is published by G. Schirmer's Dale Warland Choral Series. A New Jersey native and current resident of Los Angeles, Trumbore holds a Master of Music degree in Composition from the University of Southern California, where she studied with Donald Crockett and Morten Lauridsen, and a duel degree in Music Composition (B.M.) and English (B.A.) from the University of Maryland. This suite orchestrates three songs from Snow White Turns Sixty, a twelve-song cycle premiered as a staged production by Chamber Opera of USC in November 2011 and recorded on a CD of the same name, featuring soprano Gillian Hollis and composer/pianist Trumbore, in September 2011. Excerpts from Snow White Turns Sixty for soprano & piano have been performed numerous times across the United States. The songs of Snow White Turns Sixty offer new perspectives on traditional tales; some are modern updates, some are twisted reinterpretations, and the songs collectively retell traditional fairy tales in ultimately liberating ways, as each character discovers a new and previously untold element of her particular story. Snow White Turns Sixty (Suite) orchestrates three songs from Snow White Turns Sixty: the title number (text by Barbara Crooker), "Bluebeard's Wife," and "Sleeping Beauty" (both texts by Eileen Moeller).